Distinguished artist and teacher Alan Flattmann provides invaluable information about theory and technique as well as making crayons, designing proper studio lighting, and much more. 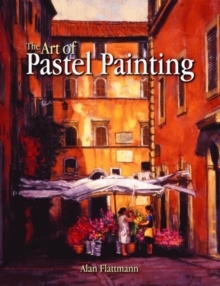 Both amateur and professional artists will find this book informative and useful.Highlighted techniques include the painterly blended and the Impressionistic broken-color approaches. There are also illustrated discussions of concept and technique, mood and technique, mixed media, form and space, aerial perspective, modeling, and the importance of simplicity. Pages: 152 pages, 132 colour illus. & 31 b/w illus.